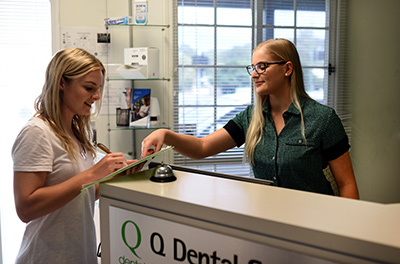 At Q Dental Mt Gravatt, our team are passionate about improving your dental health. We want to take the worry out of visiting the dentist, seeking to put you at ease and make sure your care is affordable. When you calculate your savings, the result is a 38% reduction in costs. Our plan also ensures that you enjoy optimal oral health and don’t face more serious dental work in the future. You can still take advantage of your health fund rebates by participating in our plan, and family discounts are also available.